To this end, they have relentlessly pursued them across the galaxy from planet Cybertron to the planet Earth and back again. 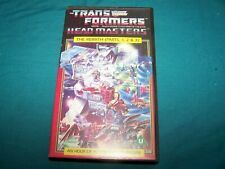 Film: 1986, Hasbro Inc. 85 mins. This is a cool item. Small box. Tested and works. There's no problem there. Lots of photos are included so you can see exactly what you are buying. It is sold as seen in the photos. OTHER INFORMATION. 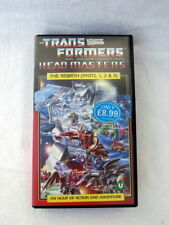 VHS USA / CANADA £8.50. 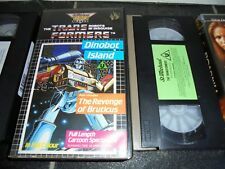 VHS AUSTRALIA £9.50. VHS USA / CANADA £8.50. 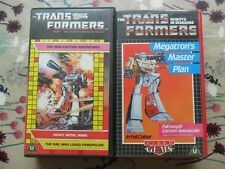 VHS AUSTRALIA £10.50. Many of our VHS are rare and unavailable elsewhere. Most of our preschool videos are spoken in British English and provide perfect preparation to learn the English language.